Kia ora and haere mai, welcome to the 23rd instalment of 9mm for 2018, and the 195th overall edition of our long-running author interview series! 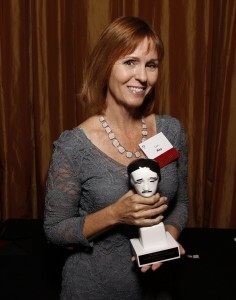 Today I'm very pleased to welcome Edgar Award-winning author Lori Roy. Actually, that intro undersells Lori a little: she's one of only three people in history to have won both the Edgar Award for Best First Novel and then gone on to also win the Edgar Award for Best Novel. Lori and John Hart, who I regularly rave about as one of the modern greats of crime writing, may be the only authors to have been nominated for an Edgar for all three of their first three books (and won twice). Talk about hitting the ground running with your crime writing career. That's something pretty special. 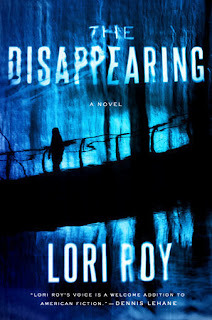 "Reading Lori Roy is a sinuous, near-physical experience, her stories so rich and well-told they twine into the reader in a manner both gentle and profoundly deep. I consider her writing a love-sonnet to American letters. Simply lovely." Lori grew up in Kansas and now lives in Florida. Her fourth novel, THE DISAPPEARING, is out next week. It marks a bit of a shift: it's actually set in contemporary times, and is already getting huge pre-release raps from a who's who of leading American crime writers. Lori is one of those authors massively admired by those who deeply understand the craft of crime writing. So I for one will be grabbing a copy pretty smartly. But for now, Lori Roy becomes the latest crime writer to stare down the barrel of 9mm. I think I would have to say Harry Bosch, who is Michael Connelly's character. Not only do I enjoy the books, but I'm also hooked on the Amazon Prime series based on the books. The Outsiders by S.E. Hinton is the first book I remember reading and loving and re-reading again and again. I'm sure the characters are what resonated with me, because the world portrayed in the book was much different than where I grew up in Western Kansas. Regardless of genre, characters are what most interest me in my reading today and I suspect it was the same back in the late '70s when I would have first read the book. I had written two other novels before I wrote BENT ROAD, which was the first novel I sent out on submission and ultimately sold. I recently came across one of those two novels I never submitted to an agent and I sent it through the shredder. While they were good learning experiences, I didn't want to revisit that particular early attempt. In addition to the two novels that came before BENT ROAD, I wrote and published a few non-fiction pieces, won a few awards with a short story or two, and published one short story in the Chattahoochee Review. 4. Outside of writing, touring, and promotional commitments, what do you really like to do, leisure and activity-wise? I go to the gym three or four times a week, and many days, that's the only thing that gets me away from the computer and my writing. My husband and I kayak, something we're getting to do more of now that both our kids have graduated high school. I also play some tennis and we're usually managing a project or two around the house. I grew up in Manhattan, Kansas and attended the university that's located there, Kansas State University. When I was in college, we would go to a bakery called Swannies. I'm uncertain of the spelling and having just tried to Google it, I believe it may no longer be in business. But it was, and perhaps still is, Manhattan's best kept secret. After a night out, we would line up in the alley outside the bakery's back door and from there buy glazed donuts fresh off the rack. I have never had a donut as good as those we ate from Swannies. This question stumps me. A movie about someone who spends her days staring at a computer and hopefully writing 1,500 words or so wouldn't make a very compelling movie. I'm afraid I don't have an answer for this one. This is another tough question. Books are a bit like our children, we love them all the same. BENT ROAD was the most fun to write because I was writing it purely for the joy of writing. I didn't think about reviews or genre or placement, which are all things a writer must begin consider once published. Each of my books has also been set in a different location so I've enjoyed learning and building those worlds. I think THE DISAPPEARING, which is coming out July 17th, has been the toughest to write as it's set in the present, which is counter-intuitive but has been the case for me, and given that it's been the toughest to write, I believe I'm also most proud of it. I was sitting in my car in the parking lot outside the bookstore where I would ultimately hold my first book signing when I received word from my agent, Jenny Bent, that I received my first offer on BENT ROAD. I believe I said something not suitable for print as I was so surprised. The book went on to sell at auction so it was a few days before I knew the end result, and once the deal was done, I went out to dinner with the husband and two kids and my husband sent me a dozen roses. I did a book signing up in Michigan that was interrupted by a tornado sighting. We had to take shelter until the threat had passed. Other than that, it was a terrific event and I met and chatted with many great people. Thank you Lori, we appreciate you chatting to Crime Watch. You can read more about Lori Roy and her books at her website, and you can follow her on Twitter and Facebook.